Family violence and violence against women has been a focal point of law enforcement in Victoria in recent years. 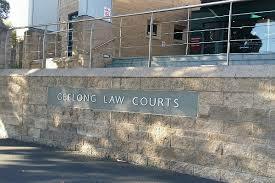 In turn, the courts have generally handed down harsher penalties to those who commit family violence-related offences. This essentially means that if an assault is committed in circumstances of family violence it is considered aggravating and more serious than in most other situations. That individual did not have a lawful excuse, such as self-defence. The charge of Unlawful Assault with an Instrument is governed by the same section, however the use of an instrument is considered an aggravating factor. As a consequence, it brings the offender closer to the maximum sentence. Our client was a 55-year-old male. The offences for which he was charged involved physically assaulting his wife, specifically, hitting her in the head with a wine bottle and causing a laceration to her head. Our client was arrested and interviewed in relation to the incident. He made a ‘no comment’ interview. The Police charged him based on the evidence available, which included pictures of the victim’s injuries, her statement and the statements from witnesses to the incident. Our client had no history of prior criminal behaviour and had not previously been subjected to police interview. After the incident, our client’s wife indicated to police that she had forgiven our client, by way of a statement of no complaint. They had reconciled, and she did not wish for the matter to proceed any further. However, it was too late to withdraw, and her statement of no complaint had no bearing on whether the matter would proceed. Importantly, our client attended an appointment with one of our solicitors shortly after being charged. This allowed his legal representatives to engage in lengthy and meaningful negotiations prior to court. It is very difficult in the current climate to convince police prosecutors to recommend a Diversion Order in respect of family violence, particularly in circumstances where injury is alleged. The solicitor sought to negotiate our client’s charges with the Police Prosecution and put to them the fact that, despite investigating a serious allegation, they were stepping in the way of a family relationship in a way that neither party wanted. Our solicitor asked that they conduct a Family Violence Case Review and have a further consideration of the matter. Following this Case Review, and a discussion with the Family Violence Liason Officer, the Prosecution was eventually convinced to recommend the matter for Diversion. Once the Diversion Notice was granted, the matter went to court. A similar argument was put to the Magistrate and the Diversion was granted. This was a outstanding result for our client as his situation had changed dramatically following professional and strong negotiations with the Police Prosecutor. Our client initially thought that his options were limited given his charges. If we had not successfully argued that Diversion was appropriate, our client expected to receive a Community Corrections Order and a criminal record. Instead, he walked out of court with no record whatsoever. He was very lucky that he chose the right law firm and engaged us early to get him the best possible outcome.